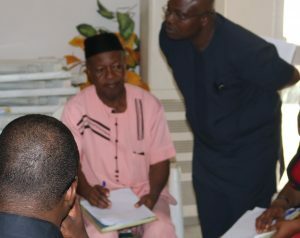 A civil society organisation, Citizens Center for Integrated Development and Social Rights (CCIDESOR), has solicited greater collaboration with the Abia State Independent Electoral Commission (ASIEC), the Commissioner for Local Government and Chieftaincy Affairs and Nigerian Union of Local Government Employees (NULGE) to promote transparent and accountable administration at the council level. The Programme Director of the organisation, Mr Chidi Igwe who made the call during an interactive session with the stakeholders in Umuahia, the Abia capital, said that the LG Advocacy is with support from National Endowment for Democracy (NED). Igwe said that adequate cooperation between the organisation and the stakeholders would help to ensure proper democratic governance at the third tier of government. He expressed the need to prioritise the national discourse on local government autonomy because of the strategic role local governments were expected to play in the development of the grassroots. He said that local government financial autonomy would help to ensure that monthly Federal Allocations to councils would be properly deployed in meeting the basic needs of the people. In his remark, Mr Chigozie Uzosike, the Mobilization/Communication Officer of CCIDESOR, described the provision of basic amenities at the grassroots as an effective strategy to address rural-urban migration. Uzosike said that transparency and accountability were essential in managing public funds. He said that effective management of local government finances would help to tackle the dearth of basic amenities in rural communities. In their responses, the stakeholders described the campaign for transparency and accountability in the local government system as a welcome development. “It is not proper for the revenue meant for the local government to be given to the state government. This will stunt development at the grassroots. 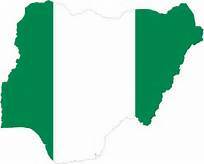 “When the local government has autonomy, the problem of non-payment of salaries and absence of basic amenities will be dealt with. This was part of the position of CCIDESOR when they visited ministry of Local Government Service Commission, Chairman, Council of Traditional Rulers and Commissioner for Local Government. The advocacy was with support from National Endowment for Democracy (NED). 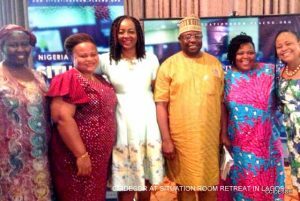 The Executive Director of CCIDESOR, Obidi Mgbemena described the provision of basic amenities at the grassroots as an effective strategy to address rural-urban migration. Obidi said that transparency and accountability were essential in managing public funds. He said that effective management of local government finances would help to tackle the dearth of basic amenities in rural communities. In their responses, the stakeholders described the campaign for transparency and accountability in the local government system as a welcome development. “It is not proper for the revenue meant for the local government to be given to the state government. This will stunt development at the grassroots. “When the local government has autonomy, the problem of non-payment of salaries and absence of basic amenities will be dealt with. The stakeholders visited committed to engaging with those influencers to ensure that it is achieved, especially that the local government will only develop if they get their funds directly from the federal government without having to mainstream them through the state governments. In a bid to ensure that there is free, fair and credible 2019 elections in Imo State and Nigeria at large, the Citizens Center for Integrated Development and Social Rights (CCIDESOR) has in collaboration with Independent National Electoral Commission (INEC), Imo State embarked on door to door election sensitization and voter education campaign. Citizens Center for Integrated Development and Social Rights (CCIDESOR) as part of its civic responsibility and contribution towards a peaceful election embarked on door to door sensitization and voter education to Nkwerre, Nwangele, Ohaji/Egbema and Ehime Mbano local government areas of Imo State. The essence of the campaign was to educate voters on how to cast their votes without wasting the ballot paper, especially that it intends to reduce the incidence of void/invalid votes, buying and selling of votes. Speaking during the sensitization, the Communication/Mobilization Officer of Citizens Center for Integrated Development and Social Rights (CCIDESOR), Chigozie Uzosike urged voters to stay away from violence, thuggery and being used to perpetrate violence during and after the election. He posited that citizens should go out on the voting days and vote wisely for candidates of their choice, adding that their votes will count if they vote appropriately without wasting their votes by way of thumb printing on the logo of the party, across the line, ticking with biro, voting twice on the ballot paper or writing on the paper, among others. In her submission, the Program Officer of CCIDESOR, Anita Udeh urged the youths to stay from away crime and do not allow anybody to coax them to vote for anybody who is not their choice. She hinted that the voters should be familiar with the logo of the party they want to vote for. Citizens Center for Integrated Development and Social Rights (CCIDESOR) in its innovative way of doing things went to the schools, markets, churches, viewing/game centers, etc for the door to door sensitization/voter education. However, CCIDESOR urges citizens to come out in their numbers to cast their votes, stressing that it is an offence to sell and allow ones votes to be bought. As the 2019 General Elections draw near, the Citizens Center for Integrated Development and Social Rights (CCIDESOR) has called on politicians to make realistic and achievable campaign promises. Speaking to Newsmen in Owerri, capital of Imo State, the Executive Director of CCIDESOR, Obidi Mgbemena harped on the need to document campaign promises as it is a barometer to hold elected officers accountable. He berated the docility of the electorate who go to bed after the elections without following up with what the politicians promised when they were seeking for votes. Mgbemena noted that campaign promises not consciously kept by elected representatives and citizens make it difficult for the campaign promises to be met, adding that campaign promises are not suppose to start and end with election, it is used to gauge the performance of elected representatives, relate with them to ensure they are kept and/or reviewed. Mgbemena revealed that CCIDESOR with support from National Endowment for Democracy (NED) is documenting the campaign promises of candidates across party line in the five states of southeast Nigeria, while urging candidates to think about what they are promising as those will be used to hold them accountable at the long run. He noted that the documentation cuts across campaign promises written on billboards, posters, newspapers, social media, those on the Radio and Television and at various rallies. ‘The documentation of election promises help to ascertain level of sincerity of the representative, especially that it enables the electorate keep track of their expectation from the representative. Once election promises are documented, it tests if the representative has gained political capital over the years of the representation, especially when one does what one promises’, he submitted. Hear the Executive Director, “Since it lies within the province of one to forget given the motley of events besetting one, the documentation of the election promises will remind the elected leaders to cross-check what their promises to the citizens are and how much they have fulfilled them. The representative gains from the repository/catalogue of the election promises documentation”. Mgbemena posited that CCIDESOR has been doing a lot towards ensuring that good governance, transparency, citizens’ participation and inclusiveness have their root in the Southeast zone of Nigeria. He noted that there is no harm in making realistic, tenable and sincere campaign promises. In a bid to assess the human rights situation in Nigeria, Citizens Center for Integrated Development and Social Rights (CCIDESOR) has participated at the workshop organised by Network On Police Reforms In Nigeria (NOPRIN FOUNDATION), a network of 49 civil society organisations spread across Nigeria, to promote law enforcement accountability and responsible policing, to have a situation report on the Human Rights challenges in Nigeria. The program which held in Enugu on 30th November, 2018 took a state by state report from members on Human Rights Situations in Nigeria. Members gave almost the same accounts of police abuse of Rights of persons. A special note was taken in the case of events in Aba where police is being used to effect revenue collections by Abia State government institutions/agencies and wrongful arrests of people in groups and they are made to bail themselves at huge expense. The house was informed of the multiplicity of police road blocks which have become points of extortion and Human Rights Abuses by law enforcement agencies in the South East. The case of Ekeukwu Owerri demolition, killing of Somtochukwu, forced under payment of retirees and forceful eviction of retired teaches of Alvan Ikoku Federal College of Education, Owerri among other Human Rights abuses in Imo State came handy. The workshop dealt with some basic ethics in monitoring and documenting Human Rights cases, principles of documenting Human Rights violations and process of interviewing. The workshop also noted some of the threats defenders of Civil Rights are faced with in doing their work, some of which are, threat of arrest, attack on family and attack on self. The Program Director of Citizens Center for Integrated Development and Social Rights (CCIDESOR), Igwe Chidi was on hand to make the position of the organization known, which was not far from the issues mentioned above. Citizens Center for Integrated Development and Social Rights (CCIDESOR), was also in Lagos for Election Strategy And Coordination Retreat held on the 4th -5th November, the meeting had the review of national political environment leading up to the 2019 general elections by taking reports from states and their issues, scenarios around the elections, including security, INEC preparations and civil society, understanding the role of the Situationroom in 2019 elections and Information technology and managing real time response/communication brought to limelight. The Nigeria Civil Society SituationRoom which is a network of over 70 Civil Society Organisations in Nigeria providing coordinating platform for civil society engagement on governance issues and elections has in conjunction with Citizens Center for Integrated Development and Social Rights (CCIDESOR) raised concerns over the issues of electoral violence, voter apathy, vote buying, electoral fraud as well as collection of voters cards, civic and voter education and the need for citizens to take ownership of the electoral process. The essence of the meeting held in Owerri, Imo State was for SituationRoom and its partners to ascertain the level of INEC’s preparedness for the upcoming 2019 general elections. Speaking at the meeting, the National Commissioner of INEC, Mr. Festus Okoye, , informed the participants that as at 31st of August, 2018, INEC had a total of 14,551,482 fresh registration of voters, adding that during the same period, a total of 815,213 registrants collected their Permanent Voters Cards. He noted that civil society groups have a responsibility in making the votes count and therefore, must intensify civic and voter education and holding the critical stakeholders accountable for their actions. In a report provided by the Program Director of Citizens Center for Integrated Development and Social Rights (CCIDESOR), Igwe Chidi who was part of the meeting as CCIDESOR is a member of Situation Room, the Imo Resident Electoral Commissioner (REC), Prof. Francis Ezeonu observed that going by what took place during the last party primaries, Imo State should be one of the states to watch and should be monitored, revealing that with approximately 2million registered voters, 305 electoral wards in 637 autonomous communities, this could compare favorably with two states. He noted that Imo State has over 3500 polling units that cut across the state. He hinted that efforts are being made to use the traditional institutions to mobilize for the distribution of the uncollected PVCs. He also talked of plans to relocate collation centres from Local Government Council secretariats and assured of their preparedness for the coming elections. The Resident Electoral Commissioner (REC) Abia, Dr. Joseph Valentine Iloh raised concerns of an unconducive environment in performing their functions during elections in Abia State. He said in some places in the past, election results were declared in open canopies. He assured that the problem is being addressed now and that Abia has conquered voters apathy by winning over IPOB and through campaigns in churches. He said Abia added 560,000 new voters and with the help of churches, they were able to distribute voters cards. The REC suggested that collation officers should not be selected from tertiary institutions within the state in which such collation is made. He observed that no CSO member has visited his office since assuming office. The Enugu Resident Electoral Commissioner (REC), Mr. Emeka Ononamadu, noted that Enugu has 2,968 polling units and has moved from 1.4million to 1.9million registered voters. He revealed that with 17 local Governments Areas in the state, his office has enjoyed close relationships with the civil society in the state. He observed that Enugu State has the least number of uncollected voters cards in the country. He said INEC Enugu has made efforts to identify all their RACs and polling units in the state. The Resident Electoral Commissioner (REC),Ebonyi, Godswill Obioma said Ebonyi with 13 local governments has 171 RACs, 1,785 polling units and 568 polling points. He said that the list of registered voters rose from 1.1million to 1.4million. The REC assured of adequate preparations to train adhoc workers in advance and that election results will be transmitted from the polling units. He also assured that form EC 8 must be pasted at the polling units. He said INEC has arranged to deploy 3 smart readers to each polling unit. He encouraged CSO members to get updated on INEC processes and procedures. 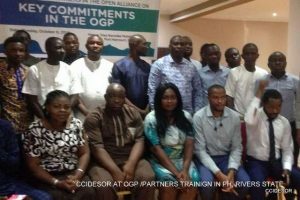 Civil Society Organizations (CSOs) and Open Alliance Partners have been asked to acquaint themselves with the Open Government Partnership (OGP) process, especially with understanding what OGP is all about and the idea behind its formation and the processes. This was the essence of the training that took place At Visa Carina Hotel, Port Harcourt, Rivers State on the 8th of October, 2018, was to ascertain what States need to join OGP. According to information made available by the Program Director of Citizens Center for Integrated Development and Social Rights (CCIDESOR), Igwe Chidi, the governor of a State will have to write to the 4 co-chairs, the letter will be be signed by the state governor and the commitments of the state. Afterwords, it will designate someone in the rank of commissioner who becoms the focal person for OGP. It is noteworthy that the state must meet a minimum standard to join OGP. 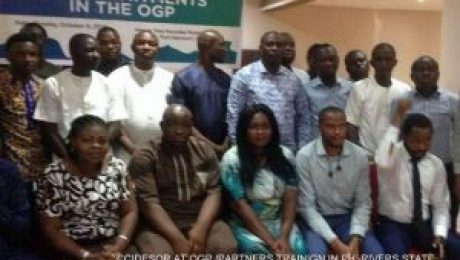 On receipt of the letter, the OGP secretariat will write back to the state and do preliminary visitation to the state, hold meeting with CSOs in the state and speak with government officials on what their roles will be before drafting a State Action Plan. OGP is a global coalition of reformers from governments, CSOs and other partners working together to make government more open, transparent, accountable and participatory. The process is a voluntary, domestically driven initiative where countries and states relying on goals they set for themselves based on international standards of good practice. The OGP is in its 7th year of operation, having started in 2011 with about 80 countries already signed on. The multilateral/Development Donor Partners includes, UNDP, World Bank Group (WBG), Asian development Bank, OSIWA and McArthur Foundation. A government must exhibit a demonstrable commitment on open government in four key areas namely which are; Fiscal Transparency, Access To Information, Public Disclosure of Assets and Citizens Engagement. It would be recalled that Nigeria became eligible to join OGP in 2014 and eventually joined in 2016, and established a 42 member National Steering Committee made up of 21 members from the government and 21 from the civil soceity and private sector. Citizens Center for Integrated Development and Social Rights (CCIDESOR) has commended the Independent National Electoral Commission, INEC, Imo State for embarking on a MEET-THE-PEOPLE Programme for the issuance of Permanent Voter Cards (PVCs) during the yuletide season. According to the Hon. 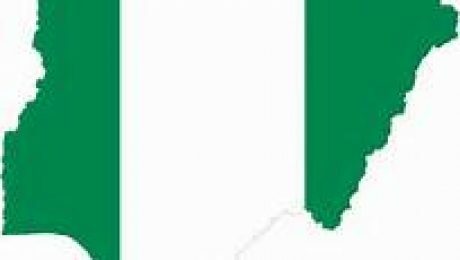 REC Imo State, Prof Francis Ezeonu, said that staff of the Commission will be in all the autonomous communities of the State from Thursday December 27th 2018 to Thursday January 10th 2019. The release said that within the period, staff will visit the communities with PVCs of voters in the polling units within each community. The REC said that Electoral Officers had circulated the schedule for the visit to traditional rulers and town union Presidents who are expected to mobilize their people for active participation. He enjoined all registered voters who are yet to collect their PVCs, including those who applied for transfer or replacements of cards to avail themselves of this opportunity provided by the Commission. The release further reminded members of the public that collection of PVCs is not by proxy. CCIDESOR who is a member of CSO/INEC Stakeholders Forum that meet quarterly to deliberate on the progress and success of the 2019 general election, urged citizens to take advantage of the opportunity provided by INEC and do the needful by collecting their PVCs. Citizens Center for Integrated Development and Social Rights (CCIDESOR) has designed strategies and modalities to ensure that there is ‘Representatives’-Citizens’ engagement in the Southeast states of Nigeria. Speaking during the strategy implementation meeting organized by CCIDESOR with support from National Endowment for Democracy (NED) that brought together stakeholders/ partners across the south Eastern zone, Nigeria, the Executive Director of CCIDESOR, Obidi Mgbemena noted that the essence of the meeting was to discuss and draw up strategies and approaches on how to implement the NED project, especially devising measures that will enable civil societies become more engaging in the affairs of the government especially as the 2019 general elections draw close. The meeting also took critical look at the political dynamics of each state represented to enable proper planning. Mgbemena urged all and sundry to drive the project to success. He spoke extensively on the objective of the implementation meeting and further urged everyone present to commit to the project, see it as their own and work to ensure success is derived by the expiration of the project in May 2019. Chigozie Uzosike, the Mobilization/Communication Officer of CCIDESOR took participants through the project Activities Analysis, enumerating the successes recorded so far by CCIDESOR as a result of their advocacies, engagement and citizens’ enlightenment since the commencement of the NED/CCIDESOR project. He expressed shock at the fact that some CSOs do not know their representative being reasons for the opaqueness of the government, however he believes that CSOs are doing their best but charged them to work hard to improve while requesting that the ongoing project should be approached with all sense of firmness if result must be achieved. Suggestions on how to successfully implement the project to deepen democracy and entrench good governance across the zone were further made by participants as Barr. Temple Nwosu from Abia suggested that Advocacy for LG accountability should include a strong advocacy on amendment of some the constitution, especially on LG funds. Ifeanyi Nwele from Imo suggested that communities should have an MoU with political parties/candidates on their charter of demand to avoid imposition of projects on communities. The charter can further serve as a tool of engagement with Reps for accountability. 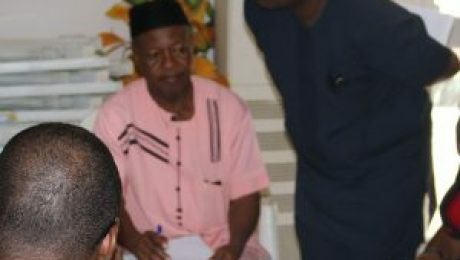 Nwokocha Innocent also from Abia suggested that proper sensitization of traditional rulers, president generals etc should be carried out as well as differentiating their roles and ensuring responsibility. Udochukwu Chukwu from National Youth Council, Imo state chapter noted that youths are left behind in issues like this, they do not have the capacity to engage their reps. He therefore suggested that youths should be enlightened on issues around governance and their capacity built to engage their representatives especially on accountability and transparency issues. He thanked CCIDESOR for the capacity training it has been offering to CSOs and the Youths. 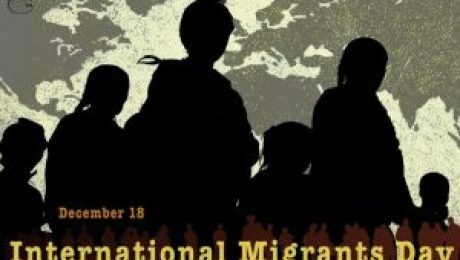 As the International Migrant Day is being celebrated on the 18th December every year, the Citizens Center for Integrated Development and Social Rights (CCIDESOR) has called on the government of Nigeria, especially Imo State government to ensure that the spate of unnecessary migration is mitigated. Speaking to Newsmen in Owerri, capital of Imo State, the Executive Director of Citizens Center for Integrated Development and Social Rights (CCIDESOR), Obidi Mgbemena posited that migration is an acceptable practice around the world but regretted that Nigeria situation has taken a worrisome dimension as young people are forced to migrate to other countries on account of harsh economic realities which is occasioned by bad governance. Mgbemena called on government at all levels to stem the tide of this needless migration in search of better life by promoting inclusiveness, accountability, open budget, transparency and fundamental human rights anchored on sound democratic principles, rule of law among others to entrench good governance. He urged the governments to provide jobs for the teeming youths, security of live and property, stem the incidence of insurgency, restiveness and ensure that fundamental rights of citizens are protected, while enhancing conducive environment for businesses to strive. 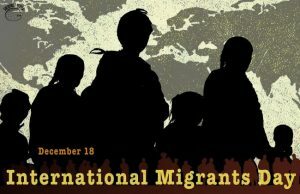 International Migrants Day is observed on 18 December in accordance with Resolution 55/93 of the United Nations General Assembly, adopted on 4 December 2000. Migration draws increasing attention in the world nowadays. Mixed with elements of unforeseenbility, emergency, and complexity, the challenges and difficulties of international migration require enhanced cooperation and collective action among countries and regions. Civil Society Organizations (CSOs) should play catalyst role in this area, with the aim of creating more dialogues and interactions within countries and regions, as well as raising their voices against violation of human rights.